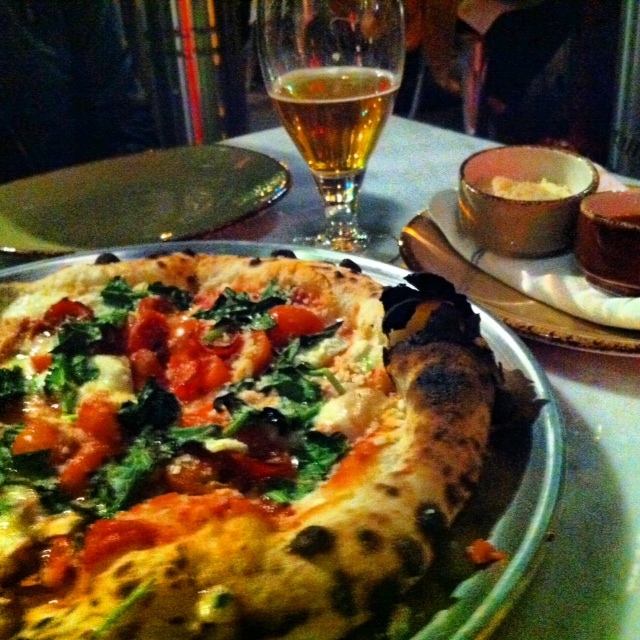 Last Friday, I went to the soft opening of Wildcraft pizza in Culver City. Soft sourdough pizza cooked in a wood burning oven. What’s not to love? Head over there immediately. I always get some sort of chopped salad at pizza places, you know, to balance out all the pizza. I never make chopped salads at home because there are always so many ingredients in them and seem to take too long just for one salad. I decided to tackle this challenge and head to the supermarket to load up on all the ingredients to make a huge batch to last me and Brennan for the week. Bonus: he loved this salad! (minus the olives) so it is definitely a winner for those that don’t like to eat vegetables. Feel free to mix and match ingredients, I like to load mine up with as many colors as I possibly can. 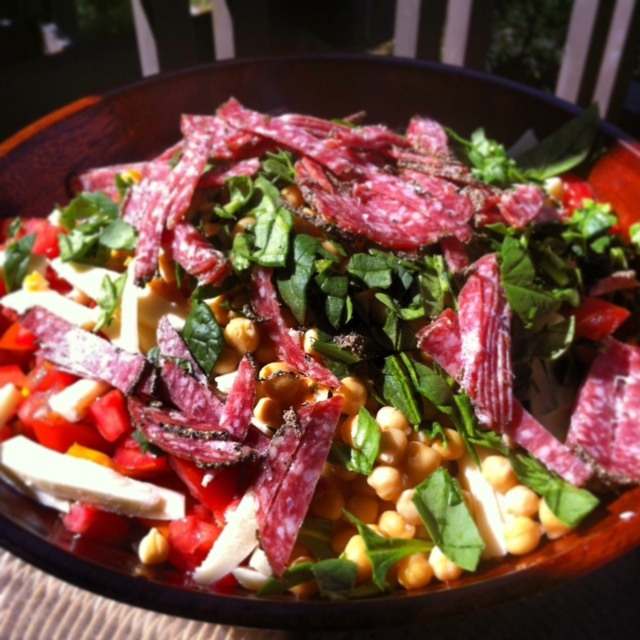 There are so many layers and textures in this salad and it gets tastier the longer it sits in the fridge. The juices from the tomato and the peppery bite from the salami with the creaminess of the cheeses, it’s the perfect combination. Though it may seem like a lot of ingredients, the longest part of making this salad is the prep and the chopping. So I make a huge batch on the weekend and eat from it throughout the week for lunch. I was getting really bored with my lunches, roasted chicken and avocado salad on top of spinach and romaine. Every single day. I am always in a hurry in the morning so I don’t have much time to think about what to pack for lunch. This makes it so much easier in the morning. I just finely chop up spinach and romaine and top it with this mixture. Also, if you don’t like spinach, try chopping it up into little pieces and mixing it with romaine, makes it so much easier to eat and one of the best leafy greens for you. The vinaigrette I made to go with it is the perfect tangy dressing for this salad. The sun dried tomatoes packed in oil gives it so much flavor, you don’t really need too much dressing. When you are ready to serve, just toss the dressing on the salad. Top with sliced avocado or roasted chicken, my bowl ran out of room or else I would’ve kept adding more ingredients! Toss all ingredients together (minus the lettuce and spinach). When ready to serve add in the lettuce and spinach. Please help me win this INKnBURN photo contest on Facebook by click this link and “liking” the picture! Thanks! Taken at the top of Sandstone Peak in the Santa Monica Mountains, at 3,111 ft it is the highest point in the mountains!